Nellis Solar Power Plant, located within Nellis Air Force Base, northeast of Las Vegas, Nevada, occupies 140 acres, contains about 70,000 solar panels and generates 14 megawatts of solar power for the base. Nevada’s largest public utility, NV Energy, recently announced it is on track to surpass the state’s renewable energy mandate. Current policy requires utility providers to generate 25 percent of their power from renewables by 2025, but some say that’s not enough. Lawmakers are considering legislation to make the state greener. It’s fair to say David Gibson’s home in Reno is a shrine to energy efficiency. All you have to do is look in his back yard to find out. Gibson, who is an engineer, has spent nearly $50,000 dollars making his home as energy efficient as possible. He’s done the easy stuff like opt for LED light bulbs and low-flow plumbing, and he’s also tackled major projects like adding rooftop solar panels and water heaters. As the founder of the renewable energy advocacy organization, Powered by Sunshine, Gibson has even created a video showing how the improvements made on his home can be expanded not just home to home, but on a statewide level. 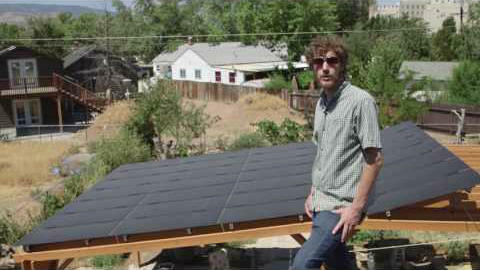 David Gibson displays his backyard solar array. “Every home, business and government building should take steps toward net-zero energy, starting with efficiency,” Gibson says in his video. And soon Gibson’s efforts may come to fruition. Right now, Nevada gets about 23 percent of its electricity from renewable sources like solar, wind and geothermal specifically. But there’s currently a push in the Nevada Legislature that would require utility providers to generate more green energy. One measure, AB206 would make it the state’s goal of producing 80 percent electricity from renewables by 2040. Democratic Assemblyman Chris Brooks of Las Vegas introduced the bill. He says there are a number of ways the state can achieve that goal. Assemblymen Justin Watkins and Chris Brooks present their bills to the Committee on Commerce and Labor. Public Utilities Commission’s 2015 decision to eliminate retail net metering – the process of selling excess rooftop solar power back to the grid – gutted the industry. AB270 would reinstate those rates, by codifying it state law. “We have enough sun in this state that provides for enough energy to be put back into the grid that gives enough credits to residents to make it financially beneficial as long as the rates are right,” said bill sponsor Assemblyman Justin Watkins (D-Las Vegas). In all, lawmakers have introduced about 15 bills that do everything from conducting feasibility studies on energy choice to creating green banks – a public-private partnership that looks to provide businesses and residents with loans and bonds for renewable energy projects. But not everyone is convinced that mandating energy goals is a good idea. The measures have also drawn the attention of one of the state’s largest industry. 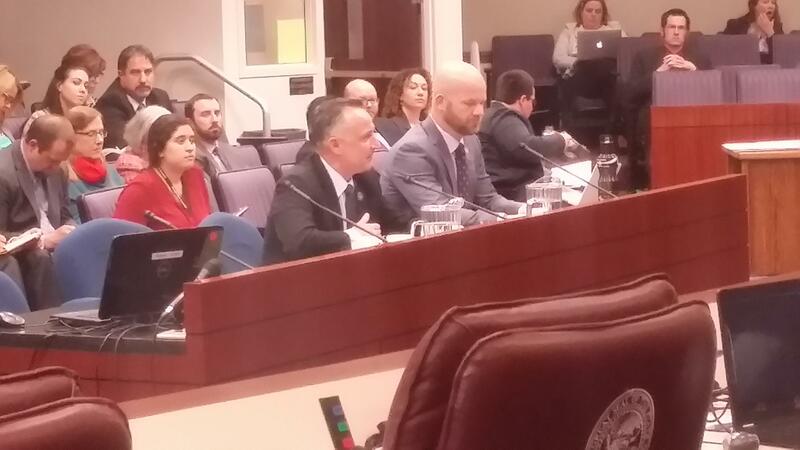 Virginia Valentine with the Nevada Resort Association told lawmakers during a recent committee hearing that pushing for more renewables may hurt the bottom line of the state’s largest industry. “We appreciate and respect Assemblyman Brooks’ desire to increase portfolio standards, but we are concerned that this bill may be too much too fast,” Valentine said. 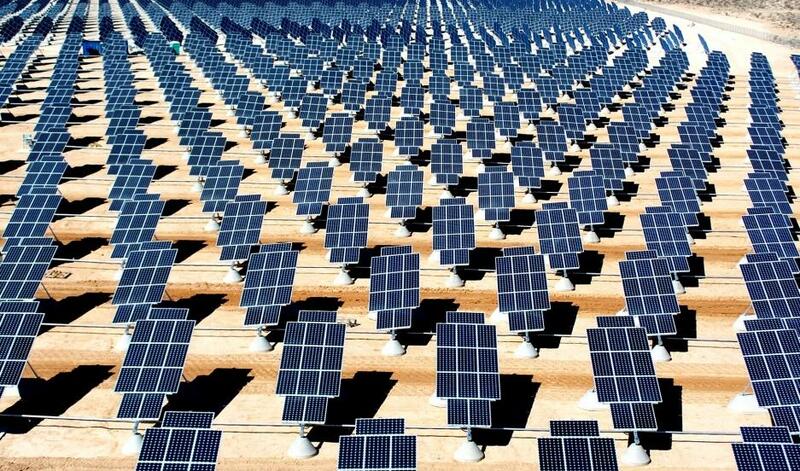 To offset some of those concerns, officials with NV Energy have suggested alternatives. Through amendments to both the energy portfolio and net-metering bills, the utility would not face increased mandates, but could voluntarily increase green energy production. They would also offer consumers a 20-year net-metering bill credit that has yet to be defined. The amendments would essentially water the measure down considerably. And when approached for comment on the bills, Andrea Smith a spokesperson with NV Energy was reluctant to go into detail. “We will continue to work with the sponsors of all the bills to make sure we can come to some sort of agreement on them,” Smith said. Since the amendments were introduced, Democratic leaders have given the bills waivers and exemptions that allow lawmakers extra time to examine the legislation and what impact they could have on the state. But even if lawmakers fail to approve the measure, Nevada will continue to have one of the most aggressive renewable energy goals in the country. However, as the price of green technologies continue to decline and more states push for renewable energy, the Silver State may lose that edge.